Premier Dermatology Partners® always appreciates feedback from our valued patients. To date, we’re thrilled to have collected 50 reviews with an average rating of 4.76 out of 5 stars. Please read what others are saying about Premier Dermatology Partners® below, and as always, we would love to collect your feedback. Quick, professional, and to the point. I have been going to Dr. Berlin for years and have no complaints. I usually see Doug for my exam and he's the best!!!! Their new offices are fabulous and the atmosphere is great. First visit. Thorough exam. Friendly ,warm staff. Highly recommend! Quick and easy. Can't describe enough my appreciation for being open limited hours on Saturday for people who can't get off work during the week. Thank you! Scheduling very easy for the initial appointment on line/ seen the next day/ Professional staff from check in to check out.. Very appreciative of the care. Thank you. 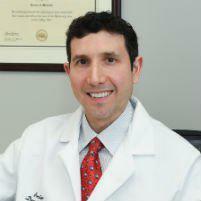 Both the staff and Dr Berlin were knowledgeable, kind and compassionate. I was a little nervous and they put me right at ease. I was recommended by a friend after my usual dermatologist closed her practice. What a blessing to find this Doctor and his staff. Highly recommended! !